Anyone have any Kabalevsky operas? The WWII operas were supposedly very popular. Any opera about an Armored Train I'd like to hear. The whole of Colas Breugnon (the one with the famous overture) was released on CD by Olympia quite some time ago. Ever heard anything of the others? I'd like to hear Colas Bregnon the opera (! ) too! I seem to recall the reviews,I saw, of the cd set were quite positive! I think it is possible that his opera 'The Taras Family' (hope I've got the title right!) was recorded in Soviet days. I'm sure I saw it in my old Russian Record Company/Collets catalogue lists,back in the days of Melodiya Lps. (How I used to relish perusing those,often,bulky mailing lists!) Of course,it may have been just an Overture or something,it's so long ago.If it was recorded,those Lps must still exist,presumably in the collections of some uk enthusiasts,too? I also remember seeing a Gliere opera listed too. 'Shakh-Senem,I think!). I wonder how old the recordings are,though? Having said that,the singing on those old soviet sets was usually very good,often superb & you can't beat that old authentic soviet era brass! Mind you,they always got rubbished in the West! Unfairly,I thought! At any rate,these are the sort of obscure opera recordings I wish I'd bought now. But as a teenager,having only so much pocket money,I had to make some VERY tough decisions,believe me!! His Colas Breugnon, his last opera, was somewhat outside many of his others works, not too much Socialist Realistic. The sound quality of the Olympia set is quite good. There are also a couple of beautiful voice in it. I wish Melodiya would realise the value they hold in their enormous back catalogue? Even if they released them just as downloads, they'd be hugely valuable. Whew! !I remember the smell of that glue! It was very strong,a bit musky in quality,but not unpleasant! Pure nostalgia now,of course! I never actually visited Collets,but the aroma from all those massed boxes must have been quite an experience! Sir Walter Boot-Legge!! That's a classic! I notice that Melodiya have been reissuing some of their more 'interesting' stuff,recently. Svetlanov's Liadov recordings,for example. I used to have the Melodiya Lp with an appropriately mysterious looking forest on the front. I still think they are the finest interpretations I have ever heard. But that's just an opinion,of course! With respect to pre-soviet opera,I noticed recently,that Rimsky Korsakov's opera 'The Tale of Tsar Saltan' (source of the marvellous orchestral suite) has yet to receive a modern stereo recording. Am I the only member here to find that fact quite shocking?! Incidentally,a query for our East european members. Is it Liadov or Lyadov? I seem to encounter these different spellings when I 'google' his name! The Melodiya cd has Lyadov on the front. Since it's a Russian recording this must surely be correct?! However,a number of recordings refer to him as Liadov! Hope I'm not making a fool of myself by asking this?!! Incidentally,a query for our East european members. Is it Liadov or Lyadov? I seem to encounter these different spellings when I 'google' his name! There's no definitive answer to this question, in fact ) The reason being that the process of transfer ("transliteration") from one alphabet to another is often a matter of taste - since the entire process is one of 'rough equivalents'. Generally speaking, there's an increasing trend these days to using the so-called "Harvard" convention on transcription these days - it's just as good as any other, and it's based on sound logic, so I tend to go with it myself. However, when there are established exceptions, I think it's generally best to go with them. These particularly occur when the composer or performer themselves had a preferred way they like to see their name in the Latin alphabet. 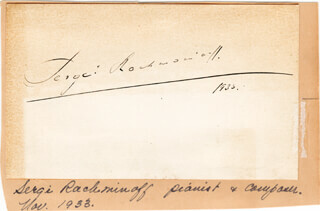 For example, Rachmaninoff preffered those two final 'ffs' to a 'v', and he signed autographs on his many tours of the USA using the spelling "Rachmaninoff'. I believe that it would be remarkably presumptuous to contradict the composer himself in a case like this! Even though that '-off' ending is nowadays considered an old-fashioned sort of spelling. Things get even more complex when the composer's name is in a non-Russian language that's been written out in Russian (sometimes wrongly!) - like Khachaturian, whose name is correctly spelt only in his native Armenian.. then muddled through Russian into an anglicised version. And also for Georgian, Uzbek, Tajik, and other composers whose countries don't use either Latin or Cyrillic. Tchaikovsky is another case in point where we know the composer's own preference. Yes to the initial "T", please. Khachaturian is, I believe, correctly pronounced "Hack-a-toor-YAN", but you don't hear that on the radio. Some time ago one of the members would like to have the original name following the transliterated one. In the earlier days it was not easy to created cyrillic signs on our western keyboards. But nowadays it is very easy to 'copy and paste' from YT or from elsewhere. May be we follow that example? Although I would not insist on members having to do that here (! ), it's worth being able to do this (cut/pasting from Wikipedia, for example). If you enter the original cyrillic into a Google Search, it will often add new items to the results, from web pages created by Russian-speaking enthusiasts. It may mean more to wade through, but often you can find music files, or notation files, which an ordinary latin-alphabet search might miss? Shahsanam. Overture to opera, at: http://classical-music-online.net/en/production/39012. 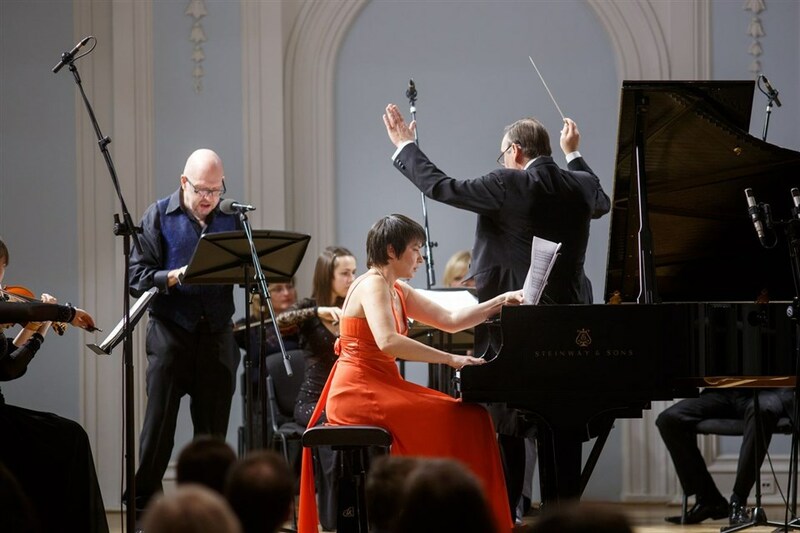 The owner of Aquarius Classics ( http://aquarius-classic.ru ) has told me that he has an old recording of Kabalevsky's "The Master-Craftsman of Clamecy" (this is the first version of "Colas Breugnon") - among other old recordings of Russian operas - but is waiting to raise $450 per opera in order to release them commercially on CD.